The lovely people at CP Foods and their PR agency sent me a boatload of frozen goodies to review (big thanks!). 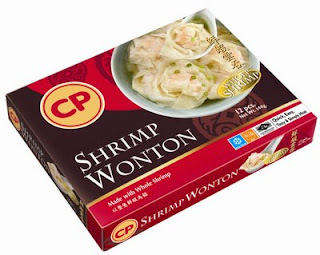 I had heard good things about CP Foods, but even so, I'd never picked up any of their stuff before. My skepticism of frozen foods runs deep. But you know what, I'm a brand new convert! Some of this stuff is amazing! Exceptional seasoning and flavour, on the whole. All of them are very easy to prepare. If you can boil water, oven-toast or deep-fry things, or press a microwave button, you're set. There's about a dozen different items, so I will split up the products into shrimp/fish (this post) and chicken (tomorrow's post). 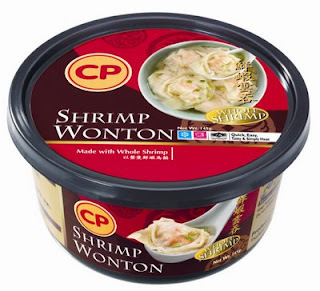 The shrimp wonton is probably their flagship product. 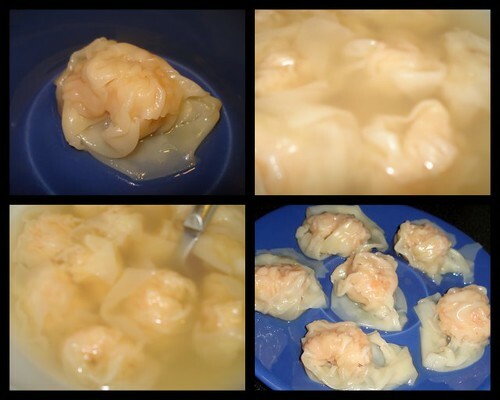 We were impressed with the crystal-crunchy quality of the whole shrimp within the wontons. And the soup is perfectly delicious! 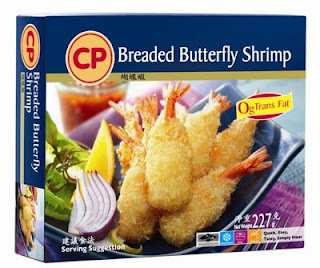 CP Foods own and operate their own shrimp hatchery, farms and processing plants. They use green technology which avoids the use of antibiotic medicines, choosing instead probiotic or friendly microbes to encourage growth of healthy shrimp. There are no preservatives in the frozen products either. 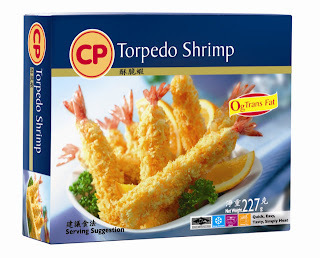 Also available in larger boxes of 12 shrimp, which are perfect for families. This box has the most wonderful soup seasoning! I'm definitely buying more! You can also deep-fry the wontons instead. I didn't fancy much the sesame sauce. I absolutely must apologise for the wonton photos - they do no justice to the product! My DSLR refused to behave that evening, so I had to resort to the P&S digicam. And now for some deep-fried stuff....more yums! 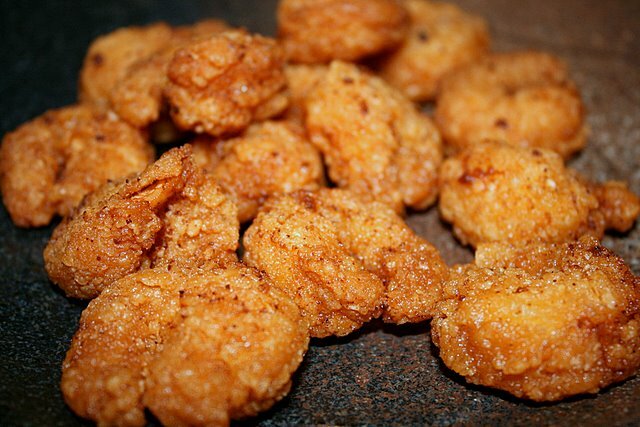 We LOVED the Firecracker shrimp. 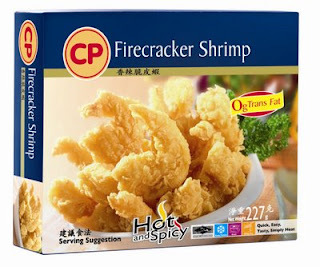 I didn't pay heed to the "HOT and SPICY" label at first, as most products with that claim are hardly so. But these actually have a tangibly spicy bite. Unfortunately I didn't test them first before handing one to Nadine. She ran around crying, mopping her tongue with her hand. Oops. 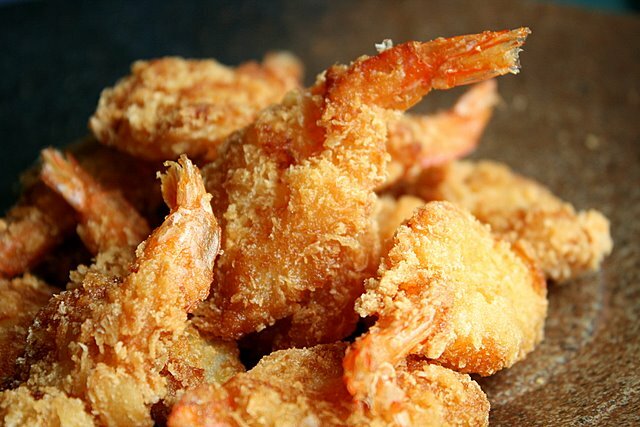 More than a dozen little butterflied shrimp coated with partially crumbled breaded flour. Easy to eat (crispy tail shell and all) but they were a little bit greasy. Makes a good party snack, I reckon. You can oven-toast these if you prefer not to to any deep-frying (they'd probably be less oily too). 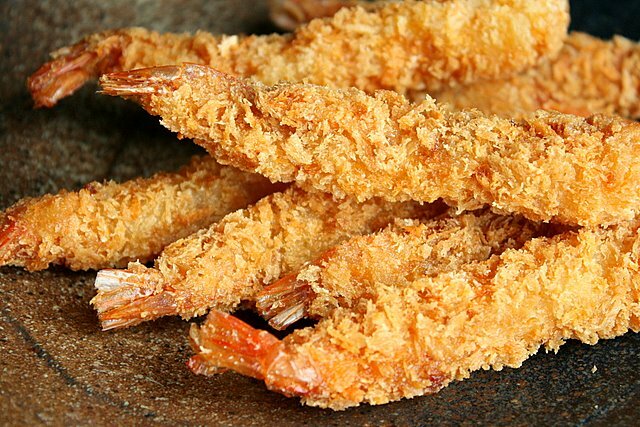 There are 8 large shrimps in this box, each ramrod straight like Japanese ebi-fry. You can see how crispy it is. Perfect accompaniment to curry udon/rice. 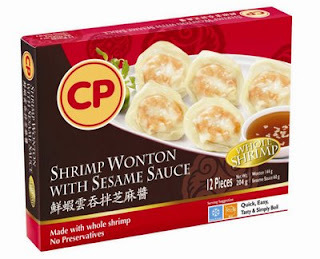 Like the wontons, the shrimp inside had the crystal crunchy quality. 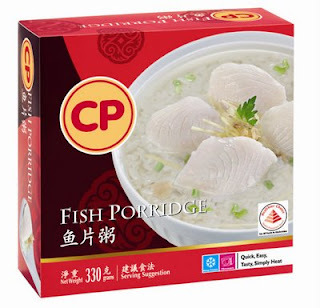 Now, I'm not a fish porridge fan, but this was quite tasty. The broth is clear but sweet and comforting. Slivers of ginger, fried garlic pieces and spring onions enhance the taste. There's chunky pieces of white fish. This is not a mushy porridge, by the way - the rice grains are still gently firm and intact. Zero grams trans fat, low in sodium and awarded the "Healthier Choice" by the Health Promotion Board. Nadine liked this too, she the super-fusspot when it comes to eating. More to come tomorrow - crispy chicken nuggets, Mexican wings, honey wings, teriyaki chicken, etc. Yes, I too, was a skeptic. But these are surprisingly good. Probably a good addition for things like steamboats and other soups too. And you can make your own wonton noodles at home without the hassle of wrapping dumplings! 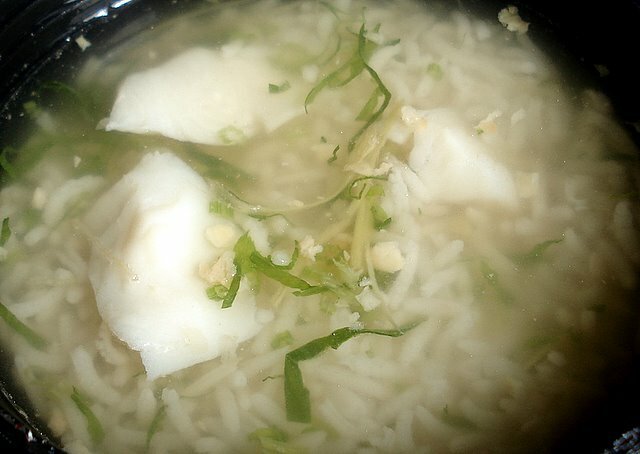 Where did you get the Fish Porridge? I have been searching for it for the longest time but it seems that no supermarket in Singapore is carrying it anymore.